Coffee & Poetry- two of the things that nourish my soul. 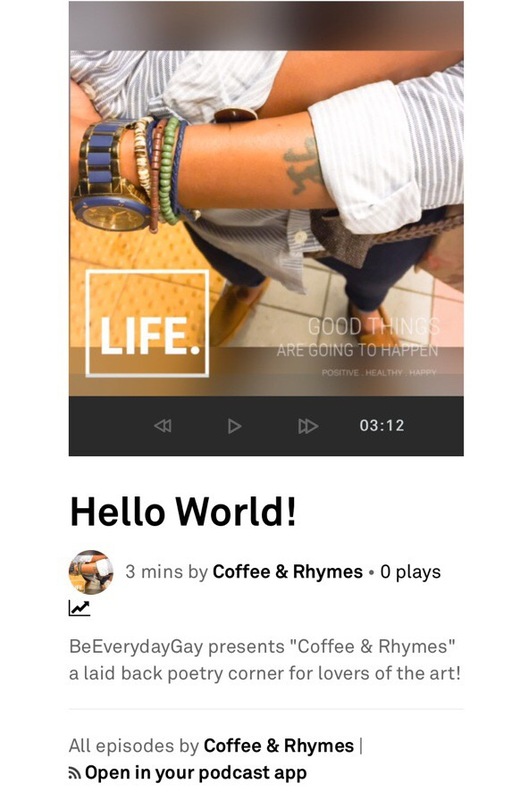 I recently decided to create a podcasts series entitled “Coffee & Rhymes” as a way for me to express myself creatively through poetry. I get tired of the commercial way of doing things, the lack of creativity that we deal with in this day and age and I wanted to be able to have an outlet that was laid back and chill to connect with everyday people. The series will focus on original pieces from myself as well as discussions about different poets whose work inspires me. I will also open up the series and invite different artists to submit their work to be shared with other artistic lovers. I’m excited about this new creative movement and I believe in the positive vibes expression can create. I hope you’ll tune in and please reach out to me if you’re interested in having your work shared!